When you stay at Grand Bahia Principe La Romana - All Inclusive in Ramón Santana, you'll be on the beach and 11 minutes by car from Cueva de las Maravillas National Park. This all-inclusive property is 21.8 mi (35.1 km) from La Romana Port and 29.7 mi (47.8 km) from Bayahibe Beach. Featured amenities include express check-out, dry cleaning/laundry services, and an elevator (lift). Free self parking is available onsite. 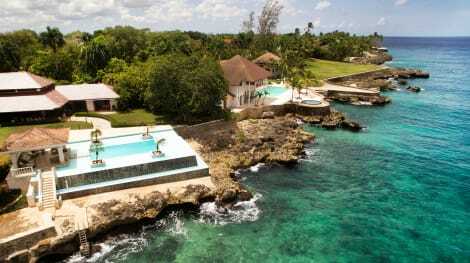 The Casa de Campo Resort is the most complete in the Caribbean. There is a large variety of sports activities, all with expert monitors; there is golf, tennis, sports shooting and the Equestrian Centre. Keep in form in the gymnasium or simply relax on the beach and enjoy the aquatic sports available. There is also the Spa with various treatments. There is something for all ages. Pamper yourself with onsite body treatments and facials. After practicing your swing on the golf course, you can dip into one of the 8 outdoor swimming pools. Additional amenities at this condominium resort include complimentary wireless Internet access, concierge services, and babysitting/childcare (surcharge). Getting to nearby attractions is a breeze with the area shuttle (surcharge). 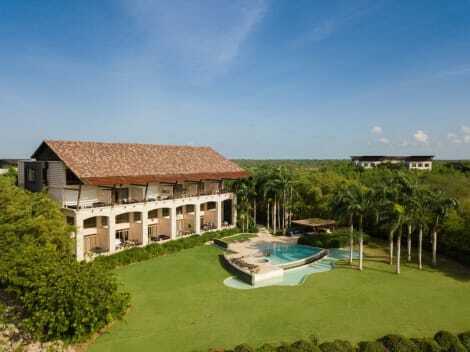 Casa de Campo Resort & Villas has set the benchmark for luxury travel in the Dominican Republic since the 1970’s. And it continues to elevate the standard it set—new additions include the stunning Minitas Beach Club with it’s pristine ocean-view infinity pool, bar, and signature restaurant. This resort also features the best offering of private villas in the Caribbean, with breathtaking homes in a variety of sizes—perfect for families and groups. Golfers flock here to play the three renowned Pete Dye-designed courses—the most famous of which, the “Teeth of the Dog,” is consistently rated one of the best in the Caribbean. Casa de Campo is a 7,000-acre resort with a variety of restaurants, private beaches, a Marina known for deep sea fishing, as well as an equestrian center, shooting range, tennis center, spa, and the Altos de Chavon village, ideal for shopping, visiting museums, dining, an exploring the amphitheater and church. lastminute.com has a fantastic range of hotels in La Romana, with everything from cheap hotels to luxurious five star accommodation available. We like to live up to our last minute name so remember you can book any one of our excellent La Romana hotels up until midnight and stay the same night.